Memory is a touchstone of transitional justice. Making a record of what happened – of conflict endured, of violence suffered – is seen to have societal value. In the short term, it preserves accounts that otherwise might be lost, and so aids the quest for truth. Stories of persons and groups survive, to inspire others in the future. 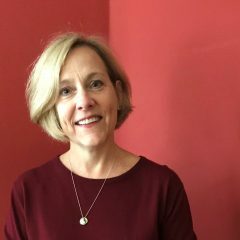 In the longer term, the recording of memory may lay the groundwork for accountability, apology, and, if not reconciliation, societal recalibration. Today we remember one such inspiring person: Martin Luther King Jr., the Nobel Peace laureate born 84 years ago in Atlanta, Georgia. A moving memorial to him may be found in that city (prior post). And 140 miles due west is another memorial well worth visiting. Located in Alabama’s largest city, the 21-year-old Birmingham Civil Rights Institute tells the many stories of America’s civil rights movement through multimedia presentations that draw the visitor into history. 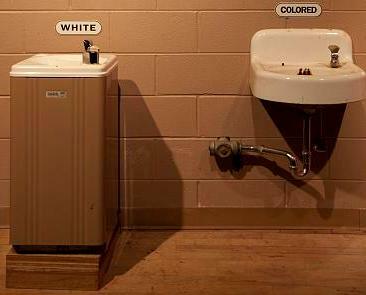 Side-by-side displays of circa-1950s facilities expose the inequity of an era known as “separate but equal,” a misnomer borne of Plessy v. Ferguson (1896) (prior posts), the 8-to-1 Supreme Court decision that affirmed de jure segregation. One example is the display above: on close look, the visitor sees not only 2 water sources, but also that one is a clean and modern bubbler, the other a rusty spigot. (photo credit) Accompanying such tactile exhibits are photographs and artifacts from the movement’s heyday, as well as more recent, videotaped oral histories. Dr. King is present, too, of course. The words of his April 1963 Letter from the Birmingham Jail appear, just outside a replica of the cell where he wrote them while detained for planning a nonviolent protest. Midway through the exhibit the visitor – having just been sobered by photos of attacks on demonstrators – is uplifted by the wall-sized projection of King declaiming, “I have a dream,” in the speech he delivered before thousands in Washington just a few months after his stay in Birmingham’s jail. More than 1,000 students skipped school and marched peacefully to oppose segregation. Authorities responded with dogs, clubs, and hoses. 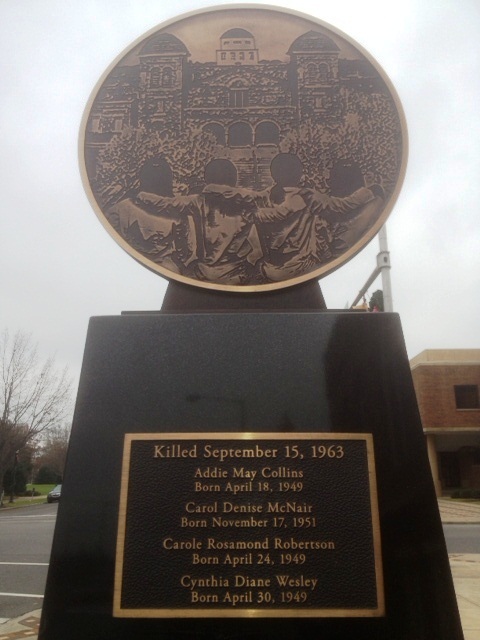 Global outrage at these images helped hasten an agreement to desegregate downtown. 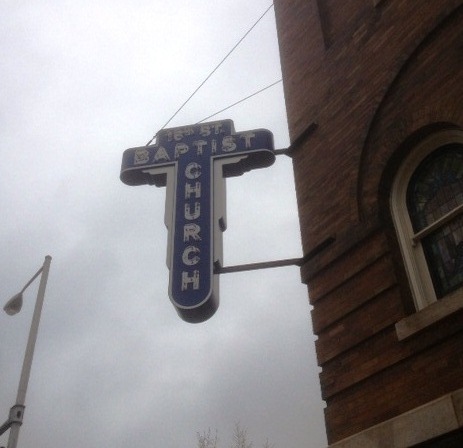 Well into the Birmingham exhibit, the unsuspecting visitor realizes that the church was 16th Street Baptist, the immense brick structure across the way. (photos (c) Peter O’Neill) Memory sears when the visitor learns she is standing where these children played, prayed, and perished.